Zooming through the Ranthambore National Park in search of tigers, we discovered some beautiful birds in the Indian jungle. 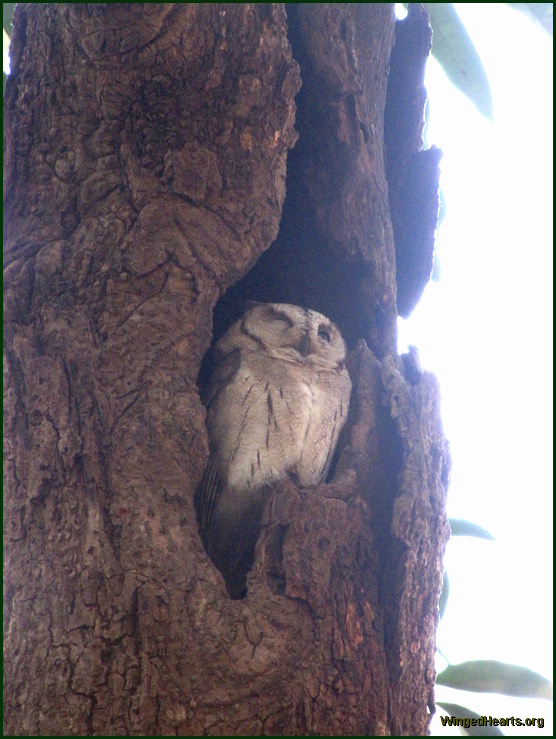 Here we have a collered-scops owl snugly resting in the hollow of the minarka. I'll be adding more pics in the next few days, so keep an eye out for them.